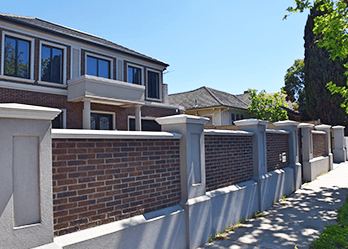 If you’re looking for quality fencing in Bayswater, you have only one place you need to visit: Custom Brick Fences. With Custom Brick Fences, you’re getting the best fencing at the best prices. We have fifteen-years servicing the local community. We’ve been providing fencing for a variety of different property types for fifteen years. During this time, we’ve built a reputation as a dependable local fencing company for Bayswater residents. When you are looking for a new fence, you want ideally to balance three features: durability, security and style. Our range of fencing for Bayswater manages to meet all three criteria. 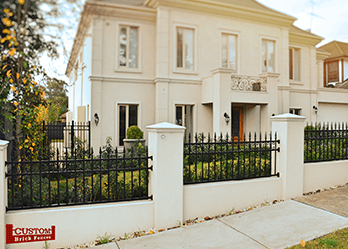 We manufacture our fences with Australian materials, so you know our fences are quality assured. We also install to make sure all our fences are finished correctly. Whether you live on flat or sloping ground, we can help. 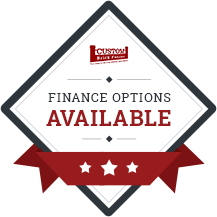 Call us today to find out what we can do for you! 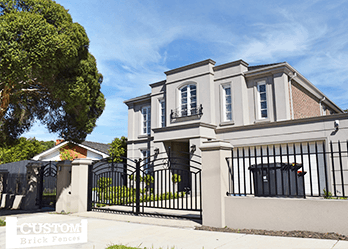 When it comes to gates in Bayswater, you want a gate that is going to keep you safe and that will last for a long time to come. It’s possible to think of your gate as the first line of defence in protection of your home. Our range of gates, include aluminium, steel and wrought iron, all customised to match your home! Call us today for your free quote and design! Modern gate technology has come a long way. Nowadays, you can seamlessly open and close your gate with the aid of automation. This can be done without even getting out of your car! For the best in new automated gates, call us today!